Internal opposition leaders and those in exile met from 26 to 27 January in Nairobi, Kenya. The objective of their meeting was to oppose the constitutional referendum. It’s a race against the clock to make every effort to block the draft constitutional revision. The hour is serious and the opposition is not allowed to continue to go it alone. The draft revision of the Constitution is scheduled for next May. 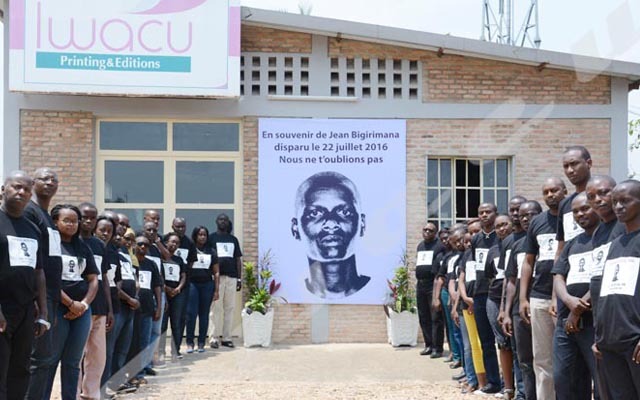 “Bujumbura government is active on its side and if it is necessary to act, it is now before it is too late,” said one of the participants. The original idea was found: to forget everything that separates the opposition of Bujumbura and the one in exile to block this project. The political class gathered in Nairobi therefore felt that the current context was not conducive to constitutional change. “State terrorism, intimidation and judicial harassment” are what opponents suffer. In such circumstances, they cannot fight the campaign even though they are opposed to the ongoing process. As resolutions, these politicians have decided to continue the fight against the constitutional referendum and harmonize communication on this issue. Participants mentioned the enthusiasm of the backers of this idea of union. Bujumbura is obviously hostile and counts on the break-up of this alliance by these opponents themselves. Some CNARED leaders have already dissociated themselves from the Nairobi meeting. They sent a letter of protest to the coalition president. They are Léonidas Hatungimana, the rebellious member of the ruling party, and Frédéric Bamvuginyumvira, President of Sahwanya FRODEBU party. Other signatories are Charles Nditije, from UPRONA of the opposition, and Chauvineau Mugwengezo from UPD-Zigamibanga. They say they are worried about the way Jean Minani runs the opposition platform- CNARED. These leaders also denounce the organization of the Nairobi meeting. “Seeing the haste and retention of information that surrounded the activity, we wonder about the motives behind this attitude”. Besides, they do not understand how such a session was organized without consulting the leading lights of CNARED and even less how members of these parties were invited without the knowledge of their leaders. For Térence Ntahiraja, what happened in Nairobi is an extension of the 2015 project to block the electoral process. According to him, one should not ignore the population and believe that they will win the elections “unless they have the objective of using violence”. The Burundian government is ready to fight them as it has always done. They will not succeed,” he said. The objective of the opposition would be to stop being like scarecrow before CNDD-FDD party that reigns supreme and makes rain or shine. The formation of a bloc by the opposition from inside and outside the country is a good thing for democracy, say some analysts. This would make it possible to restore the balance of power and deal the cards again. Vanity and lack of humility that cause the ego war among members of the opposition that struggles to be heard. In the last round of the Arusha talks in Tanzania, it opted for the policy of an empty chair. All that remained was the occupation of all the space by the internal opposition at Ngurdoto; which reveals an opposition with a clear policy against Bujumbura. Hence, there is only one step to assume that the external opposition would have wanted to go with the flow of internal opposition. Apparently, the time for reconciliation has come. It’s time to take on a big game against the powerful CNDD-FDD. Dissonant voices are already rising on the side of CNARED. Some of them lost trust in their boss. For them, “President Minani” reigns in opacity and the unification is weakened by this bad start- as if the opposition suffers from the same defects that it denounces. Meanwhile, the constitutional referendum process is ongoing. The Bujumbura train goes with a high speed.